Dr. Jing Deng is a professor in the Department of Computer Science (CS) at the University of North Carolina at Greensboro (UNCG). Dr. Deng visited the Department of Electrical Engineering at Princeton University and the Department of Electrical and Computer Engineering, WINLAB at Rutgers University in Fall of 2005. He was with the Department of Computer Science at the University of New Orleans from 2004 to 2008. He served as a Research Assistant Professor in the Department of Electrical Engineering & Computer Science at Syracuse University from 2002 to 2004. He received his Ph.D. degree from School of Electrical and Computer Engineering at Cornell University, Ithaca, NY in January, 2002. Dr. Deng is a Fellow of the IEEE. In 2015, Dr. Deng's joint paper (with Dr. Fu and Mr. Yang) on social network received the best paper award in IARIA's Third International Conference on Building and Exploring Web Based Environments (WEB'15). In 2013, Dr. Deng received the prestigious Test-of-Time Award presented by the ACM Special Interest Group on Security, Audit and Control (SIGSAC) for his joint publication with Drs. Du, Han, and Varshney in the area of key predistribution in wireless sensor networks, published in CCS 2003. 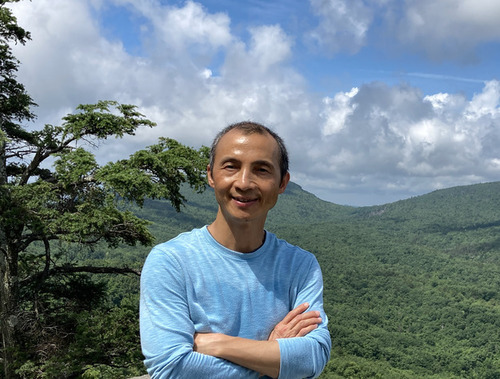 Dr. Deng is an associate editor of IEEE Transactions on Mobile Computing (TMC) (since 2018). Dr. Deng served as an editor of IEEE Transactions on Vehicular Technology (TVT) between 2008-2018. Dr. Deng's research focuses include online social networks, wireless networks, and network security. Students (M.S. applicants or current M.S. students) are welcome to contact me for their interests in my research. The availability of Graduate Research Assistant (GRA/GA/RA) openings with financial support, which include monthly stipend and full tuition waiver, varies over time. We are looking to support a highly-motivated M.S. student with strong math and computer programming skills starting in the semester of Fall 2019. The support comes with full stipend and full tuitions. Maintained by Jing Deng. Last Modified: April 3, 2019.